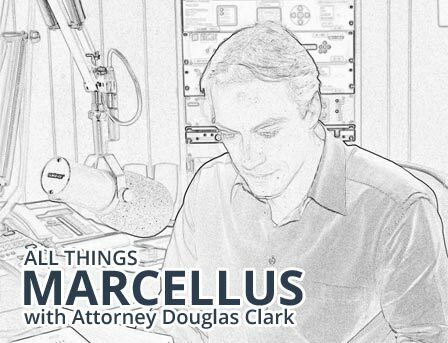 While searching online for a gas pipeline attorney, we found a video of an interview with attorney Douglas A. Clark. We learned he was raised in Armstrong County, Pa, and worked on his grandfather’s farm during his boyhood and teenage years. Hoping he would understand how important our land was to us, we gave Doug a call. We were not disappointed. Doug negotiated a right-of-way pipeline agreement with NRG that was landowner friendly. During the process several unexpected issues arose that were frustrating to us; however, Doug continued with perseverance and patience until the final agreement was reached. He maintained the highest level of integrity and professionalism, while having a genuine concern for our land and our financial expenses. His communication was outstanding, keeping us up-to-date with the negotiation progress, providing options to consider, and explaining the agreement in terms we could understand. Should we need legal advice concerning pipelines in the future we will certainly call Doug Clark.